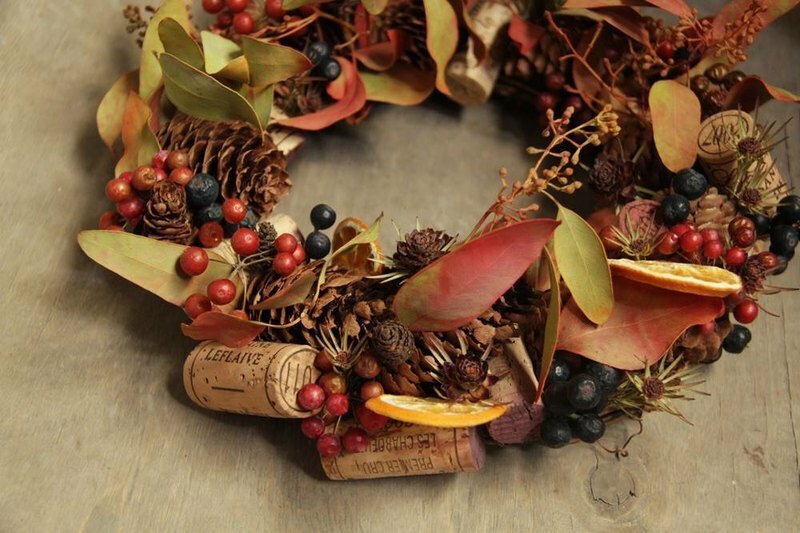 Product desciption/ Orange slices, berries, pine cones, and red wine create a sumptuous feast for the Christmas table. Gift box packaging~ -------------------------------------------------- -------------------------------------------------- ------------ Product size / (all are manual measurements, it is inevitable that there are errors, please forgive me) Rich feast Christmas circle diameter / about 24cm -------------------------------------------------- -------------------------------------------------- ------------ storage method/ 1. Dry flowers, no flowers and fruits are natural materials. Do not place them in a damp environment. The season of blowing the south wind is easy to get wet, and the wet machine maintenance can be started. 2. It is a natural phenomenon that natural material occasionally drops small petals. Careful handling can reduce the damage caused by collision. 3. Avoid sun exposure for too long, and fade will fade quickly. 4. If there is dust, use a soft brush to lightly brush, or use a low-temperature low-speed hair dryer to swing at a distance of about 60cm. -------------------------------------------------- -------------------------------------------------- ------------ After sales service / Cherish every opportunity to serve you. If you are not satisfied after receiving the goods, please contact me and take the opportunity to contact me for proper handling! -------------------------------------------------- -------------------------------------------------- ------------ About is Flower / I like to be in the mountains and forests, rather than hanging out in department stores. The sensibility of the keyboard can not be written, can be written with a pencil. Enthusiastic about the natural beauty of life combined with life to create new ideas, but also fascinated by ancient objects, time traces. Because of the fate of the fifth grade of elementary school and the flower, I began to work in the field of flowers. I hope that the paranoia of loving things from childhood can be a wonderful imagination in your heart. All kinds of flowers / wedding arrangements / wedding flowers / living floral courses -------------------------------------------------- -------------------------------------------------- ------------ 叮咛 reminder / 1. Handmade goods can't be exactly the same, the flowers also have various shapes, please consider carefully before buying. 2. If there is a shortage or poor quality of the flower material, it will be replaced by other suitable flower materials! 3. I hope that every time I am happy to trade, I welcome you to ask for a letter before purchase, and I am very happy with after-sales service.